This HandyMandy pocket coin purse brings a wonderful touch of luxury to a practical day-to-day item. 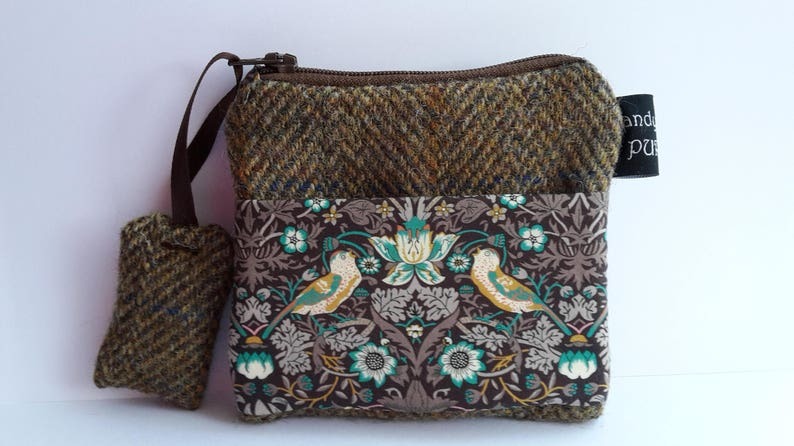 The Strawberry Thief Liberty of London print was designed by William Morris in 1883, it was part of a group of designs incorporating animals with flowers and perfectly compliments this traditional brown weave Harris Tweed. Very happy with this well-made purse - arrived fast and so beautifully packaged - thank you very much!